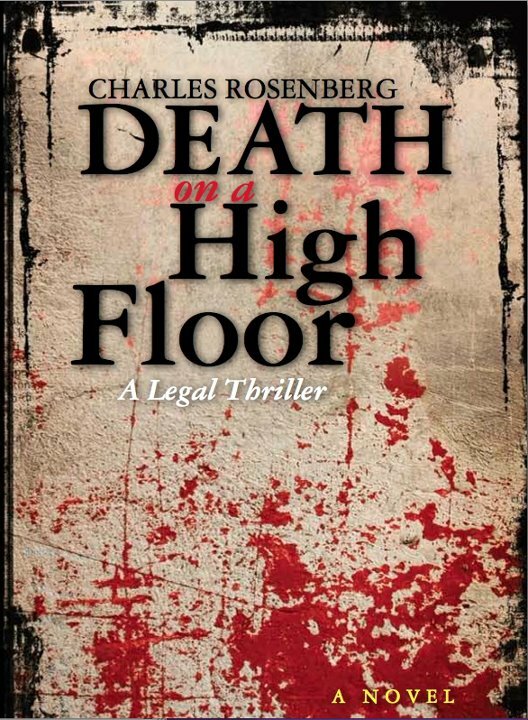 In Charles Rosenberg's intriguing legal thriller, "Death on a High Floor", Robert Tarza arrives at his law office at his usual hour of 6:00 a.m. only to stumble across the body of Managing Partner, Simon Rafer. Simon has a dagger in his back, a very familiar looking dagger it turns out.Does just being the unlucky discoverer of the body make you a "person of interest"? Apparently so, according to a homicide detective named Spritz, although the dead man is so universally disliked you would have to stand in line to get an opportunity to off him. As the circumstantial evidence piles up, Tarza is eventually charged with Murder One. Out on bail, Tarza and Jenna James (a young and brainy female associate) are forced to play detective. Somewhere out there lurking behind a valuable coin deal gone bad, rumblings of drug dealing, and lying witnesses, there's a real killer, but no one else is looking for him. Unlike most legal thrillers the court room drama all takes place at the preliminary hearing, not in a jury trial. This is very interesting stuff, because the judge now becomes a major player and a character you won't soon forget. Mr. Rosenberg, a practicing attorney and legal script consultant to prime time TV shows, knows whereof he writes. 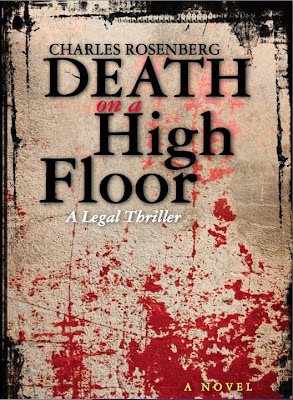 "Death on a High Floor" is right up there with the best of this genre. I am a lifer. Came here at twenty-four in seventy-four. So that’s sixty years on the planet, thirty-six years here. Of course, it’s not like being a lifer at, say, Wal-Mart. Last year I made six hundred fifty thousand dollars. Not a lot these days by some standards, I know. Not a million or more, like some of my more ambitious colleagues with a weekend place in Santa Barbara and two kids at Yale. But then again, I don’t work all that hard. I billed maybe eighteen hundred hours last year. Nothing like what they make the kids do these days. Twenty-two hundred hours required, twenty-five hundred for a real shot at partner. After thirty-six years, you know a place. You know who drinks too much. You know who screws too much. You know who hates too much. You even mostly know who it is they hate. So it didn’t immediately strike me as surprising that someone had buried a knife between Simon Rafer’s shoulder blades. There were a lot of people with motive enough. Simon, at forty-eight, is—well, was—the firm’s biggest business getter, and he had been on the warpath, clearing out dead wood, as he called the poor schmucks. Guys who’d been here, some of them, twenty, even thirty years. Nice people, good lawyers, but not the kind of folks who could rope in a Fortune 500 company. “Old Mules,” he had labeled them at one Executive Committee meeting. Lowering our profits per partner. Not people who were going to move the firm ahead. Whatever that meant. Two thousand lawyers in twelve countries, instead of a mere thousand in six, like now? A lot of associates with a motive, too. Simon was a screamer. I’d heard him screaming at them. Even at Jenna. Simon could make or break your shot at partner. I wish I had not been the one to find him. God’s punishment for getting in at 6:00 a.m. every day, I guess. Usually, no one else is on the eighty-fifth floor when I get in. Usually, it is dark. Usually, the big double doors into reception are locked. Usually, there are no bodies face down on the floor. I shouldn’t have touched him I know. Maybe I wanted to see if he was really dead. He was. Cold as ice. But then it had been a cold night, even for Los Angeles in December, and the firm’s energy task force had decreed that the heat would go off at eleven each night, no matter what.